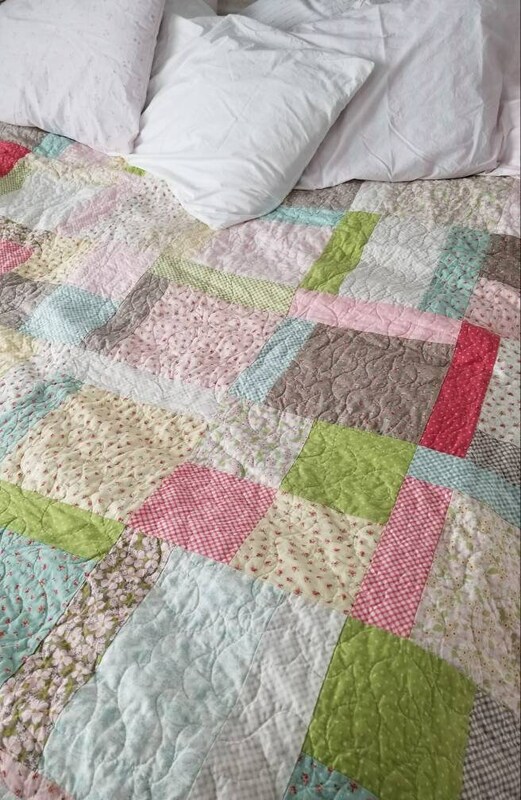 Razzberry Creek quilt kit...featuring Amberley collection...pattern designed in-house by Mickey Zimmer. 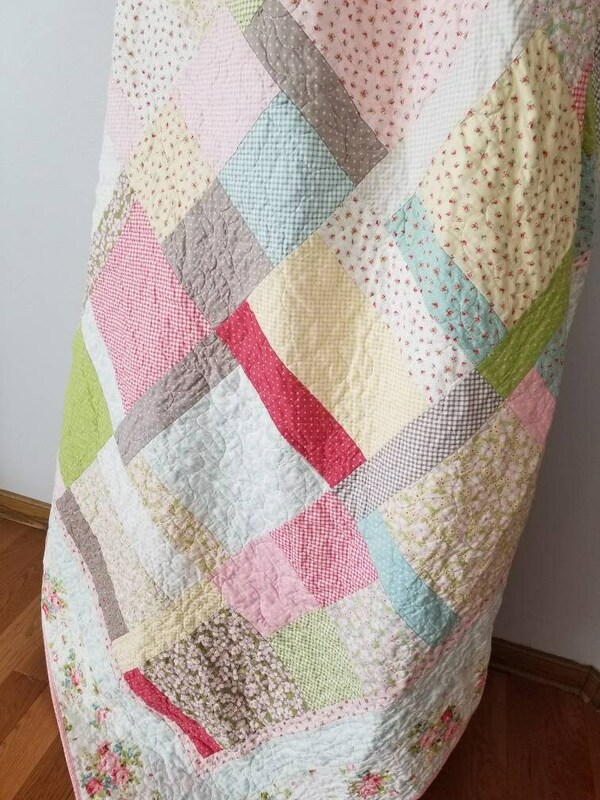 I just had to do an impromptu photo sesh with this quilt. 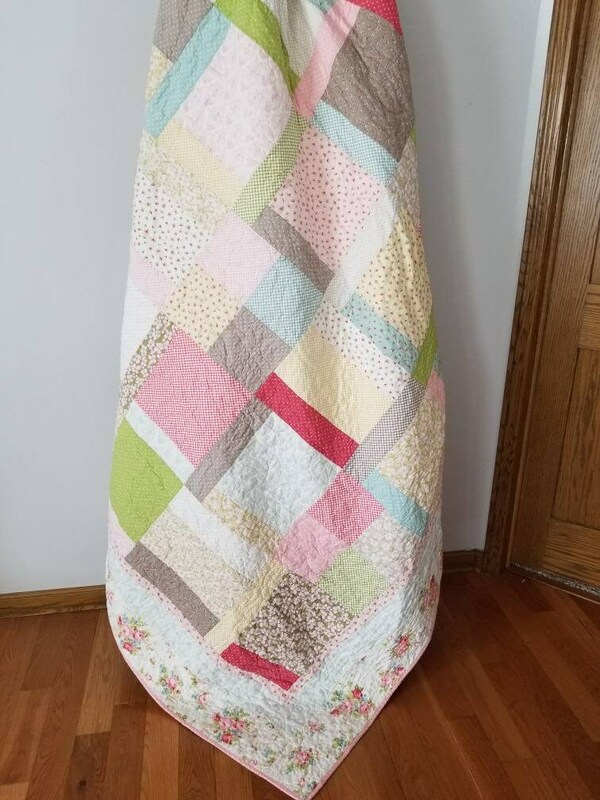 The snow is coming down like Christmas outside and this quilt definitely makes you think of summertime, breezy hammocks, and garden walks. 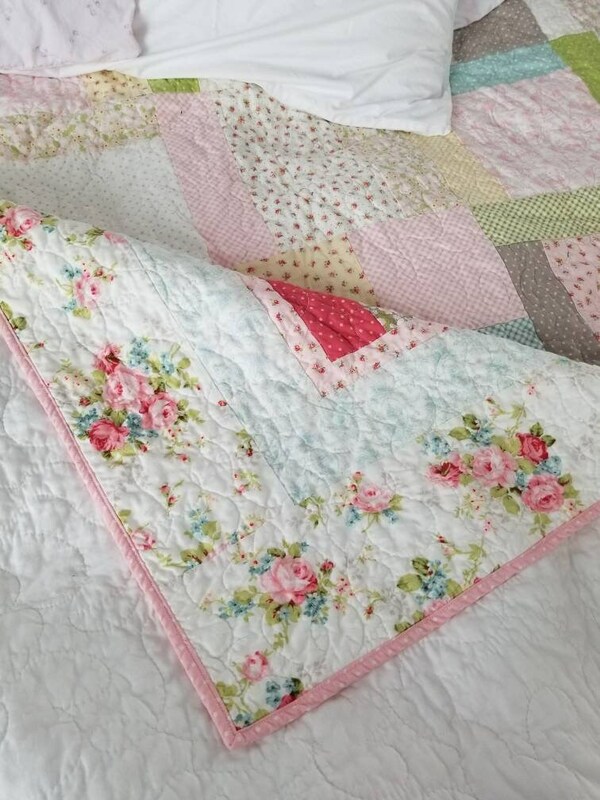 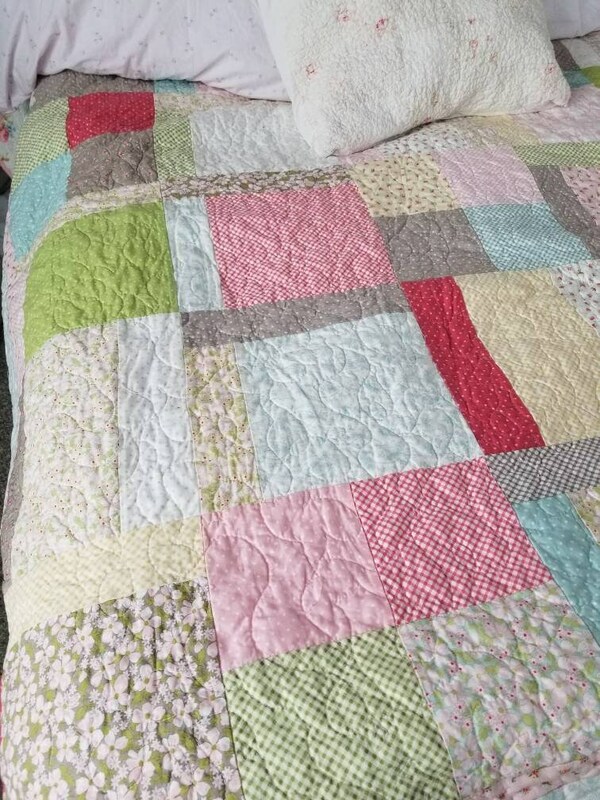 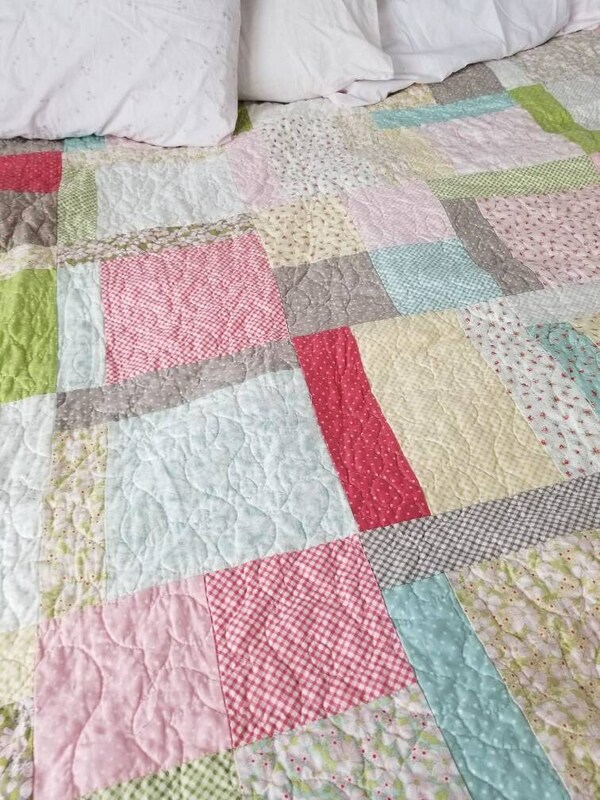 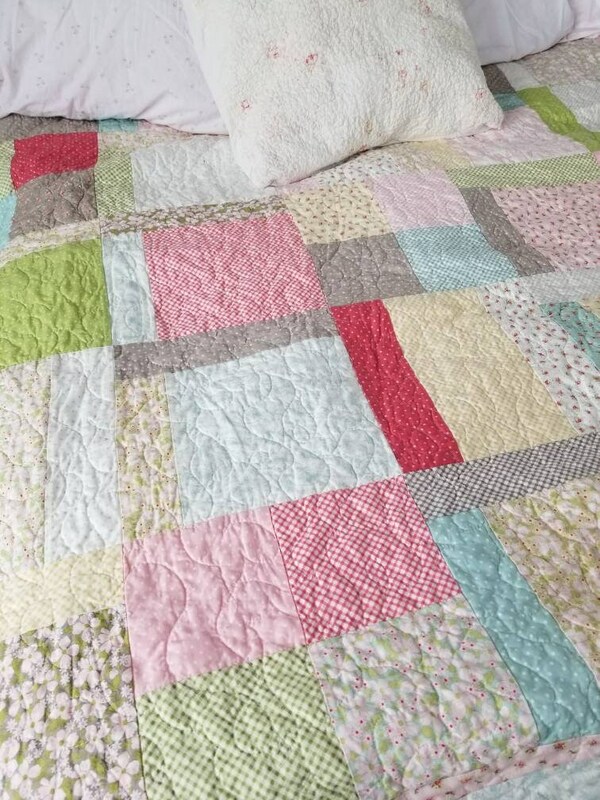 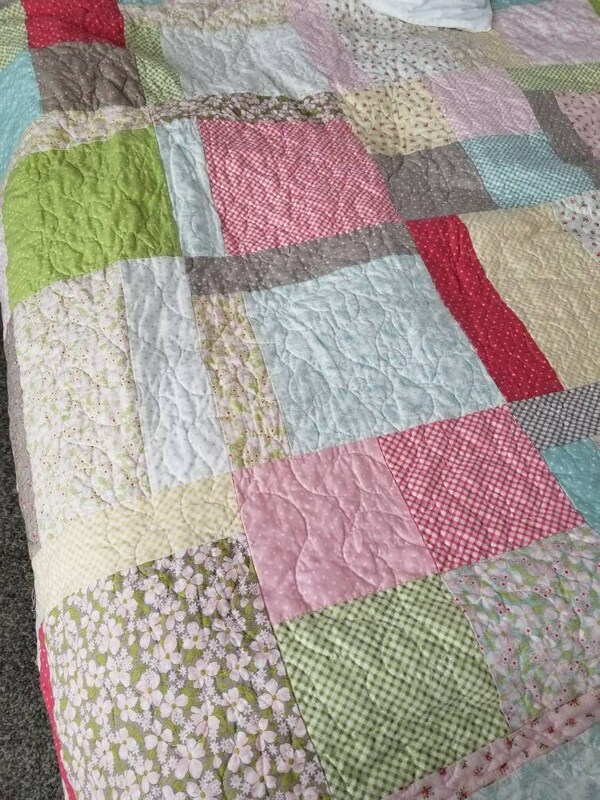 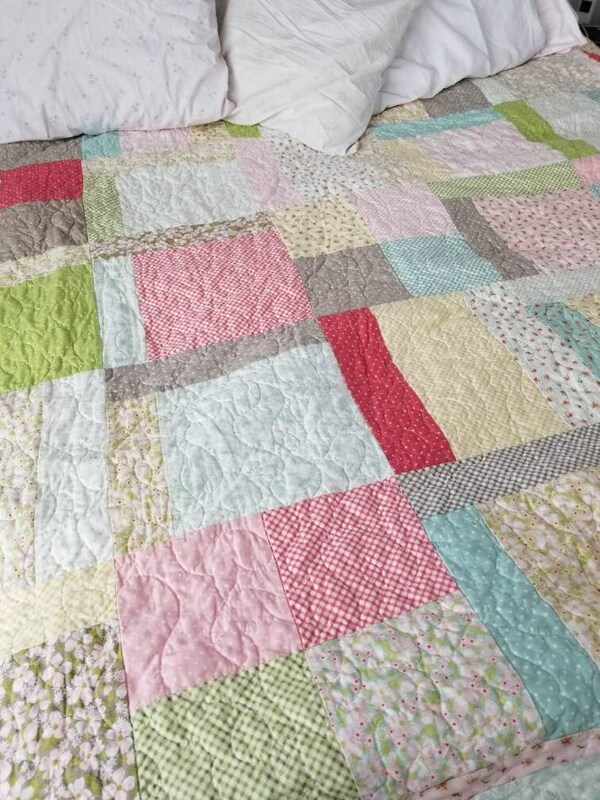 Luscious prints, the prettiest colors, and blocks that are just-the-size combine to make this quilt; that is both delightfully cozy, yet perfect for a bed. 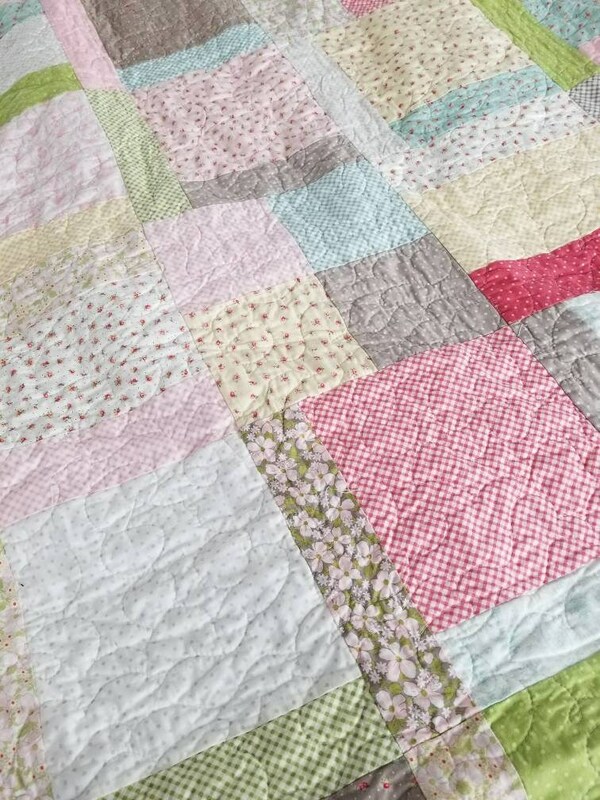 A classic mix of checks, dots, toiles, and small florals all finished off with a white background large floral border.